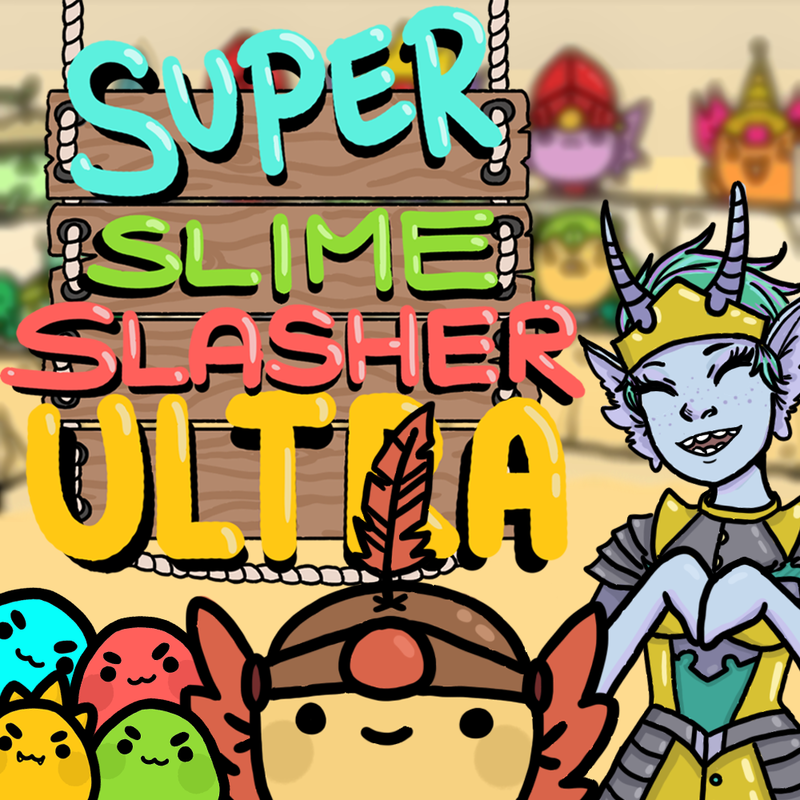 Super Slime Slasher Ultra is a mix of match-3 and action genres! Participate in the world's best arena combat sport! 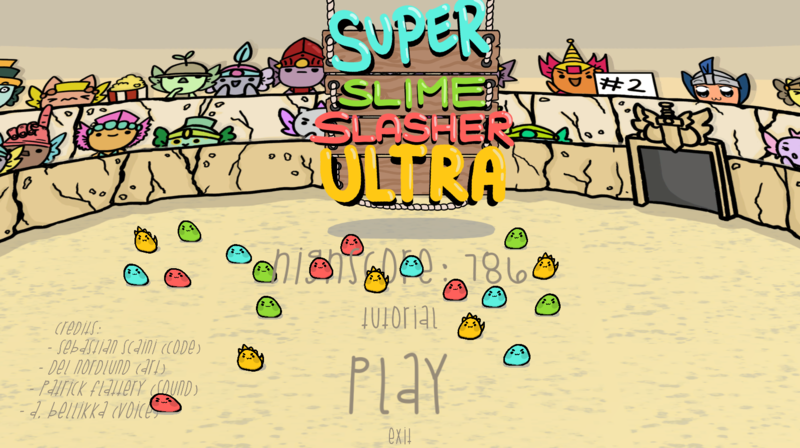 Slash slimes and match colors to earn points. The game is best on a controller. There is Mouse and Keyboard controls but they can be a little finicky. 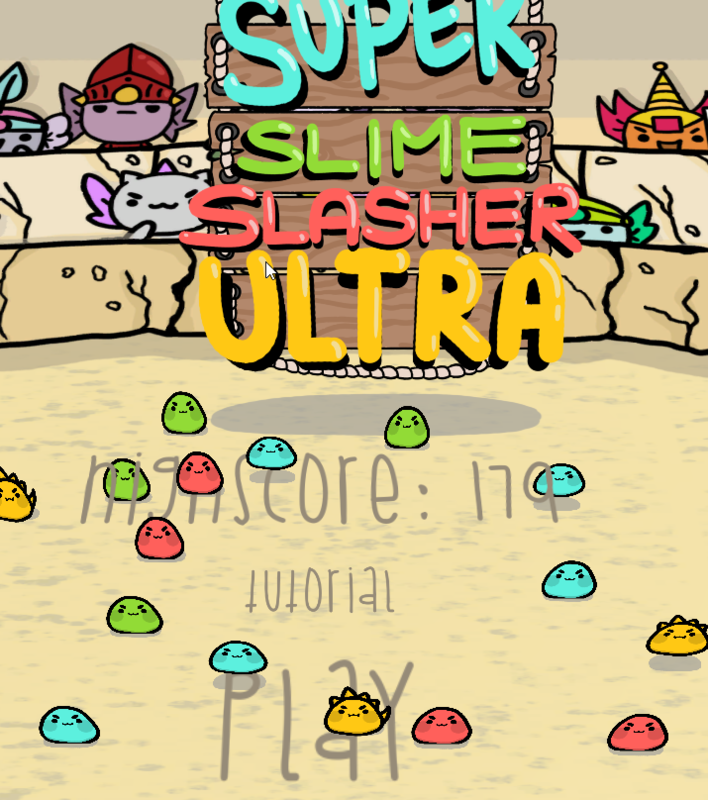 It is highly recommended that you view the tutorial before playing. 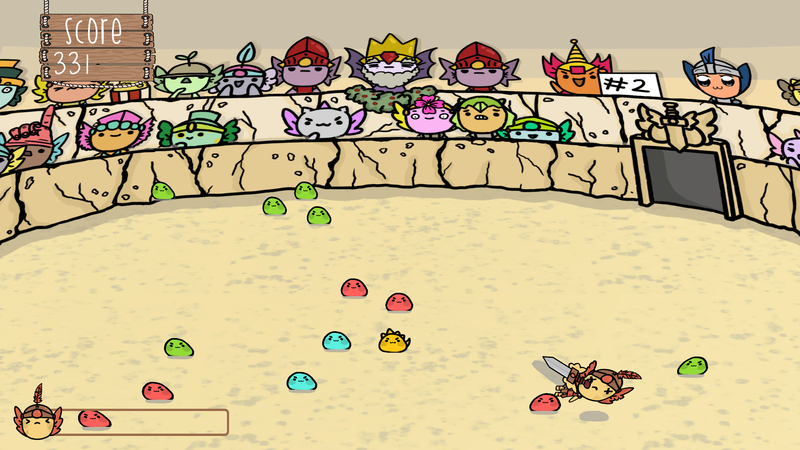 You must cash in your chain to earn points by right clicking or pressing LB when you have a chain of 3 or more of the same color slimes. I really enjoyed it! I'll leave my feed back on the LD page!